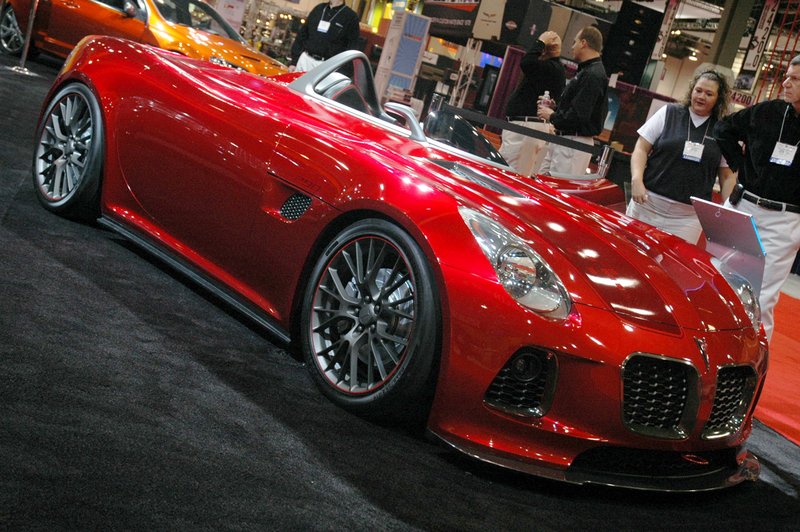 Las Vegas â Designed to evoke the emotions of classic sports cars, the Pontiac Solstice SD-290 race concept captures the purposeful design of vintage racecars. The design is dramatic, featuring a passenger cockpit tonneau cover and a driver windscreen, creating a pure racecar that looks ready to take the checkered flag even while sitting on the starting grid. Aerodynamics have been improved and the SD-290ï¿½s weight reduced with the removal of the windshield, side glass, window regulator, convertible top, climate system and windshield wiper system. Complementing the design are new side fender gill panels, a new hood with heat extracting grilles and a competition red paint scheme. Backing up the race-ready appearance is the available Club Sport Z0K suspension package and an all-business cockpit filled with auxiliary gauges, a roll bar and racing seat.